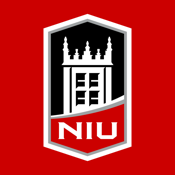 NIU Mobile connects you to Northern Illinois University no matter where you are. Athletics: View up-to-date news, schedules, and scores for your favorite Huskie sports team. Courses: Browse and search courses for current and future terms, see course descriptions, times, locations, and availability, and even contact the instructor directly from within the app. Directory: View public directory information and get in touch with anyone campuswide, and add that person directly to your phone's address book. Events: Find and keep track of a wide range of NIU activities, from concerts and art exhibits to lectures and athletics. Get Help: Get access to important numbers and information when you need them. Learn: Get instant access to all of your Blackboard Learn™ course content on the go. Check grades, post to discussion forums, view important class announcements, read and download assignments, upload content and more. Library: Easily find library resources including location and call number and even see current availability. Maps: Search campus buildings by name, pinpoint them on the map, see their location relative to your own. News: Keep up with all the happenings on and off campus with news from NIU Today. Tickets: Buy tickets to the latest Convocation Center and Athletics events. Transit: Never miss the bus again with our real-time Huskie Bus Tracker! Videos: Access all of NIU’s video content in one easy-to-view place.